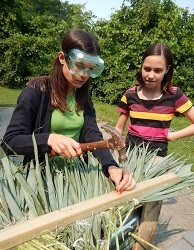 Our summer camps are designed to offer hands-on nature exploration through play and discovery. We get up close and personal with nature, and aren't afraid to get super dirty! Registration will open here on Wednesday, February 27th at 7:00 a.m.
Click here for tips for registration day. Click here to check if you already have an account. Click here to apply to the Happy Camper Fund Bursary. Click here to donate to the Happy Camper Fund. Camp runs from 9:00 a.m. to 4:00 p.m. Regular camp drop-off starts at 8:45 a.m. and pick-up ends at 4:15 p.m.
Before care is available from 8:00-8:45 a.m. for $30 a week, and after care from 4:15-5:30 p.m. for $60 per week. We no longer offer single days of before and after care. Click here to see the Camp Schedules By Age Group. Pre-registration is required for all programs. Registration cannot be confirmed until payment has been received. Children may be enrolled in a maximum of two camp sessions per summer. Campers will be divided into counsellor groups based on age. If you know your child has friends attending the same week of camp who are within one year of your child, please let us know by filling out the supplemental form after you register. We will do our best to fulfill requests, but unfortunately cannot guarantee more than one request per camper, nor requests for friends who are more than one year apart. Cancellations of camp sessions received more than 4 weeks (28 days) before the start of the camp session will receive a refund minus a $50 administration fee. Cancellations of camp sessions received 4 weeks (28 days) or less before the start of the camp session will not qualify for a refund. Cancellations of t-shirts, before care and after care are accepted at any time, but are subject to a 10% administration fee. Cancellations due to medical reasons require a doctor’s note, and are subject to a $50 administration fee. Doctor’s notes must be received within one week after the end of the camp session. Refunds are not granted for inclement weather. If a program is full, you may choose to be added to the wait list through our online system. Before July 2, 2019, when a space becomes available in a camp we will contact those on the wait list by phone or email. After July 2, 2019, when a space becomes available in a camp we will contact those on the waitlist only by email. Programs will proceed rain, snow or shine. Please be sure to dress your child appropriately for the weather as we will be outdoors for most of the activities. Indoor programs will be run in the case of severe inclement weather such as heavy rain, thunderstorms, snowstorms or high winds over 35 km per hour. We also advise wearing long pants, socks and long sleeved tops to protect against poison ivy. If you have any questions please call our office at 416-392-1748. Campers are welcome to register for a maximum of 2 camp sessions. Campers will receive a High Park Nature Centre bandana on their first week of camp. T-shirts are optional, and are available for $20. Click here to see the Summer Camp Info Package. Leafhoppers are a creative group that love to have fun. 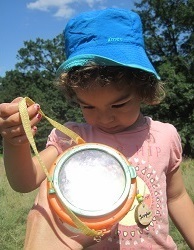 Leafhoppers will make crafts, read stories, play games, and explore High Park! Leafhoppers go to the splash pad on Tuesdays and Thursdays. Ratio of staff to campers is 1:6. 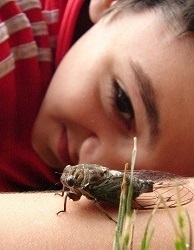 Cicadas are active and curious! They play nature games, make nature crafts, go on scavenger hunts, and meet lots of new friends. Cicadas swim at the High Park pool on Tuesdays and Thursdays. Ratio of staff to campers is 1:8. Dragonflies are seriously into nature! 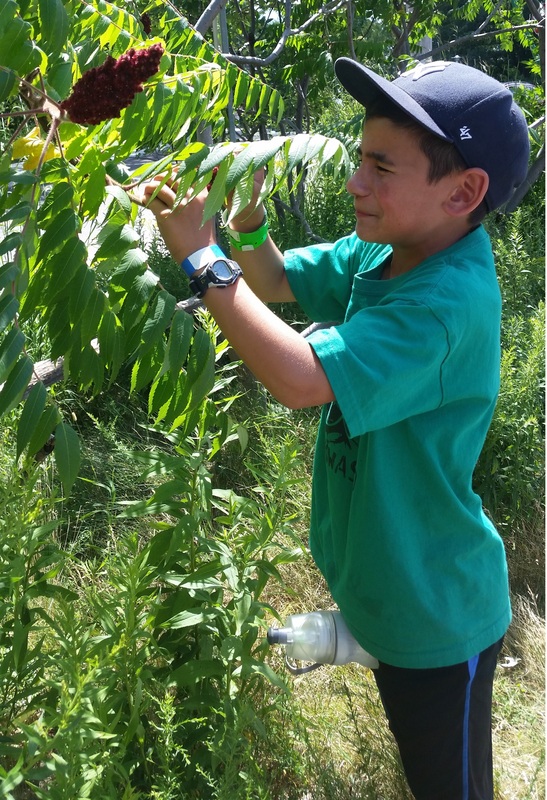 Campers will have fun learning more about nature while exploring the park. Dragonflies swim at the High Park pool on Tuesdays and Thursdays. Ratio of staff to campers is 1:10. Mantids will have fun learning how to hone their observation, identification, and environmental stewardship skills, while working together as a team. Mantids swim at the High Park pool on Tuesdays and Thursdays. Ratio of staff to campers is 1:10. Rangers develop important skills and perform meaningful stewardship work in the park. They will work with tools, develop ID skills, go on hikes, swim at the High Park pool, and bond with youth who share their passion for nature. Ratio of staff to campers is 1:12. 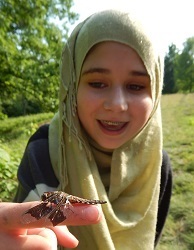 LIT's take care of High Park while becoming environmental leaders in the community. In the first week of camp, Rangers will develop important teamwork, leadership, and nature skills. After their week of "training", Rangers will come back to volunteer with summer camp for one week. *Participation in our LIT program will help youth accumulate community involvement hours required to graduate high school. For more information about our volunteer High Park Rangers program during the school year, click here. Regular camp drop-off starts at 8:45 am and pick-up ends at 4:15 pm. Before care is available from 8:00-8:45 am for $30 a week, and after care from 4:15-5:30 pm for $60 per week. We no longer offer single days of before and after care. *Please note that Week 1 (July 3-6) and Week 6 (August 7-10) are 4-day weeks due to Canada Day and the Civic Holiday. If a square is grey then that age group is not offered that week. Looking for parent and child programs? We will be offering offering nature clubs for 1-5 year olds and their guardians as weekly clubs this summer. For more information, see our Early Years Nature Clubs page here. 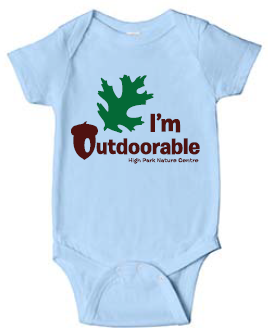 Our youth t-shirts and infant onesies are $20 each. 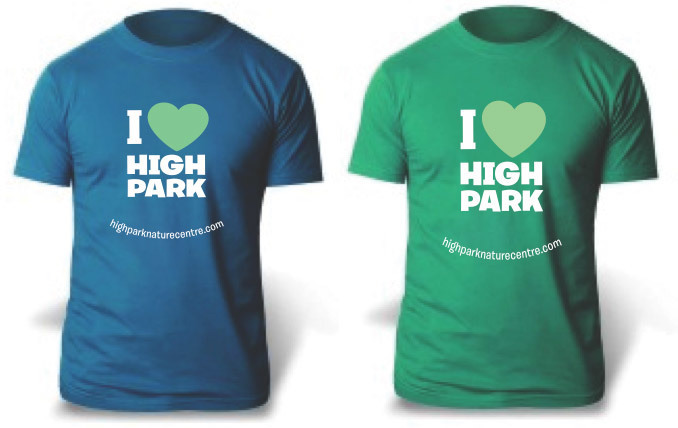 If you are interested in buying a t-shirt or a onesie, please indicate the colour and size on your registration form or contact us at 416-392-1748 or naturecentre@highpark.org. For availability of adult sizes, please contact us. Help Send a Kid to Camp with the Happy Camper Fund! Camp is a blast! 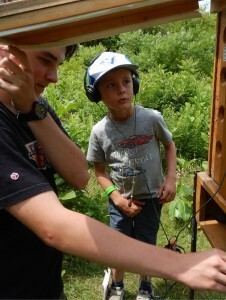 We would like all kids to have the chance to experience nature camp. Click here to learn how you can help send a kid to camp through our Happy Camper Fund.